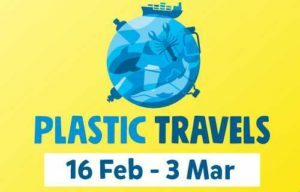 Plastic Travels – February Half Term: Runs 16th to 3rd March (amended date) 2019. Take the journey from shelf to shore as we explore the voyage of everlasting plastics and impact they have on our oceans. Solve the clues in the message in a bottle trail, get your face painted at craft corner (choose your favourite animal design from shark, penguin, jellyfish and clownfish) every day from 11am to 4pm. We will also be joined by local wildlife charity RSPB who will be teaching us all about how to protect the variety of life along the Humber and across the Yorkshire coast. Positioned on the third floor, use the binoculars and see what wildlife you can spot. More details on their website here.